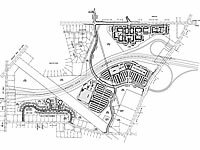 STA designed this 170,000-sqauare-foot retail center requiring the relocation of the insection of two highly traveled state highways. A retail center encompassing 47 acres located in the heart of Montgomeryville in Montgomery Township, Pennsylvania. Especially today, understanding and navigating the development approval process is critical to success. So is familiarity with the highly technical issues and state-of-the-art computer-based tools that are essential to modern civil engineering. S.T.A. Engineering, Inc. can take a project through planning and zoning approvals, preliminary design, mapping/platting, and ultimately to the final design stage where the project is ready for bid and construction. Click on any of the images below to learn about the project or Contact Us for more information..